Classroom discussion is an important teaching strategy because of its relation to the development of participatory citizenship, critical thinking, and classroom community (Engel & Ochoa, 1988; Parker, 1996; Weikel, 1994). Discussion is particularly relevant in social studies education because of the mandate to prepare students for participatory democracy. Several studies (Weikel & Mangram, 1995; Larson, 2000; Larson & Parker, 1996) have examined the distinctive nature of discussion itself. Those studies indicate that there are various types of discussion that vary in purpose, content, and format. In this article the author begins a look at two general “types” of discussion in schools: classroom discussion,where face-to-face verbal interactions occur among students and teacher, and threaded electronic discussion, where the interactions occur electronically and asynchronously by way of a computer. Larson, B.E. & Keiper, T.A. (2002). Classroom Discussion and Threaded Electronic Discussion: Learning In Two Arenas. 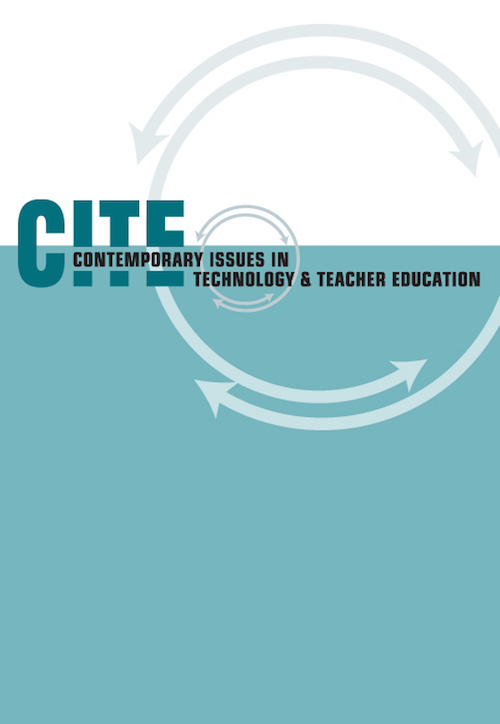 Contemporary Issues in Technology and Teacher Education, 2 (1), 45-62. Norfolk, VA: Society for Information Technology & Teacher Education. Retrieved April 25, 2019 from https://www.learntechlib.org/primary/p/14452/. Bridges, D. (1979). Education, democracy and discussion. Windsor, England: NFER. Cazden , C. (1988). Classroom discourse. Portsmouth , NH: Heinemann. Dillon, J.T. (1994). Using discussion in the classroom. Philadelphia: Open University Press. Engle , S. , & Ochoa, A. (1988). Education for democratic citizenship: Dec i-s ion making in the socials tud ies. New York: Teachers College Press. Gall , M.D. , & Gall , J.P. (1990). Outcomes of the discussion method. In W.W. Wilen (Ed.) , Teaching and learning through discussion: The theory, research and practice of the discussion method, (pp. 25-44). Larson, B.E., & Parker, W.C. (1996). What is classroom discussion? A look at teachers’ conceptions. Journal of Curriculum and Supervision, 11(2), 110-126. Larson, B.E. (1997). The Makah: Exploring controversial issues through structured classroom discussion. SocialS tud ies and the Young Learner, 10 (1), 10-13. Larson, B.E. (2000). Thinking about classroom discussion as a method of instruction and a curriculum outcome. Teaching and Teacher Education, 16 (2000), 661-677. Larson, B.E., Keiper, T., & Harwood, A. (1999). Creating teledemocracy in social studies classrooms. In J. Braun and F. Risinger, (Eds. ), Surfing socials tud ies: The Internet book. (pp.49-52). Washington, D.C.: Na-t iona l Council for the SocialS tud ies. London, S. (1994, March). Electronic democracy: A literature survey. A paper prepared for the Kettering Foundation, Dayton, OH. London, S. (1995). Teledemocracy vs. Deliberative democracy: A comparative look at two models of public talk. Journal of Interpersonal Computing and Technology, 3(2), 33-55. Merryfield , M.M. (2000). How can electronic technologies promote equity and cultural diversity? Using threaded discussion in graduate courses in socials tud ies and global education. Theory and Research in Social Education, 28(4) , 502-526. Oliver, D.W., & Shaver, J.P. (1966) Teaching public issues in the highschool. Logan, UT: Utah State University Press. Parker, W.C. (1992, November). The possibilities of discussion. Paper presented at the annual meeting of the College and University Faculty Assembly of the National Council for the Social Studies, Detroit, MI. Parker, W.C. (1996). Curriculum for democracy. In R. Soder (Ed.). Democracy, education and schooling, (pp. 182-210). San Francisco: Jossey-Bass. Power, F.C., Higgins, A., & Kohlberg, L. (1989). Lawrence Koh lberg’s approach to moral education. New York: Columbia University Press. Strauss, A.L., & Corbin, J. (1990). Basics of qualitative research: Grounded theory, procedures and techniques. Newbury Park, CA: Sag. Tharp , R.G. , & Gallimore , R. (1988). Rous ing minds to life: Teaching, learning, and schooling in social context. Cambridge: Cambridge University Press. Townsend, J.S. (1998, February). Silent voices: What happens to quiet students during classroom discussions? English Journal, 72-80. Warschauer, M. (1999). Electronic literacies: Language, culture, and power in online education. New York: Lawrence Erlbaum. Weikel , B.G. (1994). Discussion in socials tud ies: Communication and public discourse in the middle school. Unpub l ished doctoral dissertation, University of Washington, Seattle. Weikel, B.G. & Mangram, J. (1994). Discussion of text in socials tud ies: All quiet on the western front. Paper presented at the Annual meeting of the College and University Faculty Assembly of the National Council for the Social Studies, Phoenix, AZ. How Different Group Configurations Affected Discussion Thread Development in Online Graduate Courses?